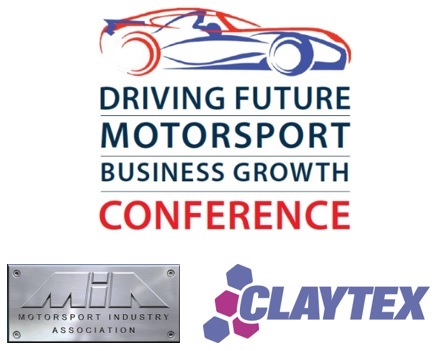 Claytex will exhibit at the Driving Future Motorsport Business Growth Conference organised by the MIA (Motorsport Industry Association) in July this year. With global attention focused on Motorsport Valley® in the run-up to the leading race on the Formula One calendar – Silverstone’s British Grand Prix, this unique event will explore and showcase the latest innovations from the UK’s world-leading Motorsport and High Performance Engineering community through a programme comprising a focused conference and powerful technology showcase. At the core of this conference, key industry leaders will share and discuss their thoughts on maximising international export and inward investment opportunities, as well as the ongoing evolution and increasing application of innovative practices, processes, skills and technologies both between parallel industrial sectors and global export markets.